Go check out my insanely porky article in StarMetro today! When I started with StarMetro, I was advised against writing too much about pork. While I featured non-halal places, my emphasis was never really about pork. Good thing I got the green light from the editor to feature bak kut teh this time. Thank you Brian Martin, editor of StarMetro!! saw ur post in The Star today and it leads me here eventually. will drop by sg way this week to try the BKT. thanks! darius – A pity you feel that way. 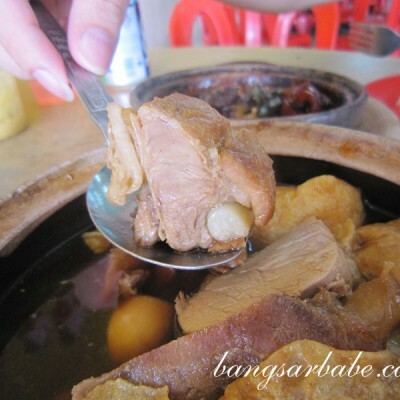 If you read my blog properly, you would notice quite a number of non-pork places I've featured. 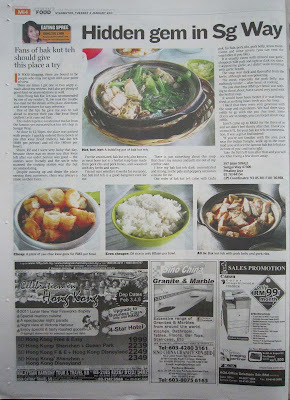 And this is THE FIRST pork review I've done for StarMetro. KY – Me too, me too! still enjoy following ur blog tho! Steven – I hope so too! Just went there today. Business was better than usual 😉 The auntie is really happy.